The rosters were just released today and are a hot topic for discussion. These are all great high school football players. Do they pose a threat to Montana who has won 10 out of 14 Mon-Dak bowl contests. I'm Me wrote: The rosters were just released today and are a hot topic for discussion. These are all great high school football players. Do they pose a threat to Montana who has won 10 out of 14 Mon-Dak bowl contests. just out of curiosity i dont see josh horner on that list... comeon man represent ND... my guess is that he is gonna have something going on that is keeping him from playing... anyone know anygthing? Hes going on a trip to peru with his church. i guess it like a once in a lifetime thing. ND sure could use him though. Talk about a weapon. yeah, they are a great experience. ive been goin to them for about the last 6 years and they are something special. but peru.......i guess its hard to beat that. I would respect Josh's decision. I mean it's not like he won't get his fill of football during the next 5 years. It would be great to see him play in the Badlands Bowl, but his not being there will give someone else the chance to show what they can do. Does anyone know why that kid from Hazen who signed with UND isn't playing? footballguy09 wrote: Does anyone know why that kid from Hazen who signed with UND isn't playing? Sorensen is the kid youre talkin about i think. He wasnt chosen. Big dreams at UND i guess. 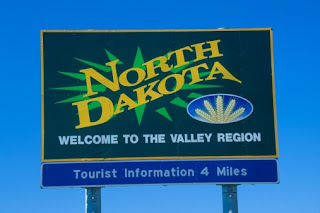 Class B footballin north dakota is alot different than D1AA, but good luck to him. AA player of the year, saw some highlights of him on the Sioux website, think the coaches missed a gem here. 400 Champion last year, definately an athlete, should have been on the team. Siouxalltheway wrote: AA player of the year, saw some highlights of him on the Sioux website, think the coaches missed a gem here. 400 Champion last year, definately an athlete, should have been on the team. I would say that this past weekend's state track meet further bolstered the argument that not choosing Sorensen for the Badlands Bowl was a major mistake. It's not like this was just some kid with excellent speed who didn't do much on the football field. He was a two-time all-stater, and the AA West Region player of the year. He was selected... but chose not to play. why would he choose not to play. there are guys that are dying to play on that team. i understand if youre like Zac Elgie and youve been drafted by the A's and you dont want to mess that up. But why would you just not want to play? is there a reason why he didnt choose.\? they could use him at corner. If you chose not to play then they replace you with soemone else... its not like they just leave that spot on the roster open. And he wouldn't be playing corner. He is like 6 4 190, i dont think he would be playing corner, he was a runningback in highschool. dont flip out if you dont know whats going on.